Hats, buttons, stickers & more! What do you get when you mix hip-hop 'n' religion? 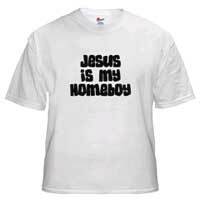 The answer is "Jesus is My Homeboy!" While it's really up to Jesus if he's your homeboy or not, you can still tell the world some hippity hop Jesus jive!